Yes, Hugh gave me the BF862/2SA1837 headphone amp design and it remains one of my best. It was in fact, the amp that beat all the other amps in a blind virtual audition. Last edited by xrk971; 28th December 2017 at 11:02 PM. And if you then mirror it about Gnd with PJFET and NPN, you get the F5-like topology of Nelson, or Le Monstre of Hiraga. John Broskie's website is always a source of inspiration. Apologies for hijacking Hugh's thread one last time. I tried changing some stuff in the schematic posted by Nico Ras. This is what I finally built on a breadboard. When I plugged in my headphones and played music through this amp, my jaw just dropped in amazement. It sounds totally different from my CMOY amp. With hip hop, the bass hits so hard and is tight. On some songs I did not even know there was that much low bass. I just love the slam and impact of the bass with this amp. On some songs I thought that the music was recorded with bass distortion. After using this amp, the bass distortion is gone. There is also a sense of space in some of the music I tested. The treble also feels sweeter and not fatiguing anymore. I am gonna continue listening to more music. Thank you for sharing this amp schematic. Yes I am waiting for BF862 to arrive in the mail to build that amp you have posted in the other thread. I'm glad you built the CFP HPA and then listened it! It really is an astonishingly good HPA and one of the simplest I have ever seen. When you realise how good it is you wonder why so many complex amps are in the market, particularly knowing they are studded with ICs and massive global feedback. My approach is always to find what works, simplify, simplify and simplify. Less components are cheaper, more reliable, and easier to assemble. Well, I found this thread today. It was started by Hugh's on 2009, has 1145 replies and 110.042 views. Uau ... that's a lot of interest ! But, correct me if I'm wrong, it stopped on May 2011. The member KnightofAwesome was making a great job designing the pcb, but than ... nothing. And again, Hugh is around and remembering that it is simple but astonishingly good. 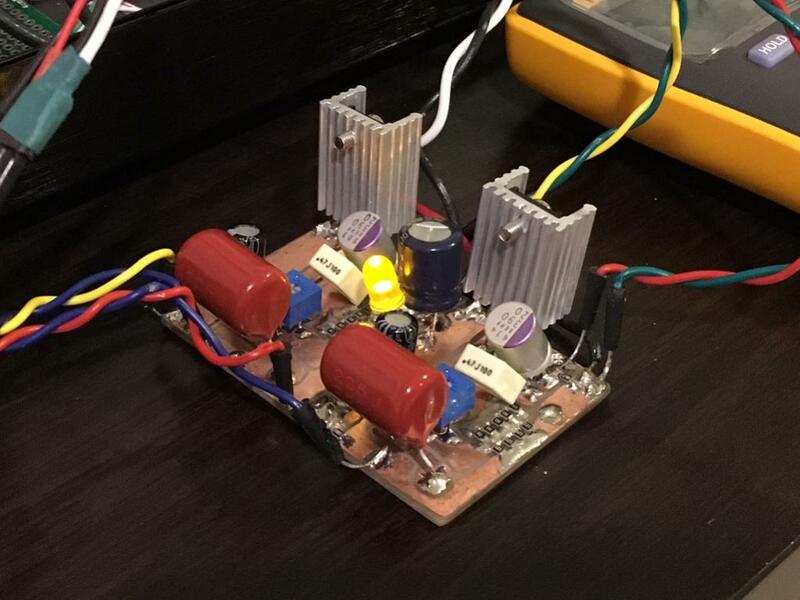 Also xrk971 made a prototype and is reporting as one of his best headphone amp. Somebody has the latest pcb design files and BOM made by KnightofAwesome ? Can that be a re-starting point ? So, by luck, somebody searched this old thread, and it may came to life again if the interest is around. It is amusing, all this history with a dead end; yet the interest persists. Perhaps this is the reason XRK and I decided to collaborate some months back to build a very high quality headphone amp which could drive a rusty nail from DC to light - already we have a schematic, DAC, balanced and unbalanced input, high quality power supplies.